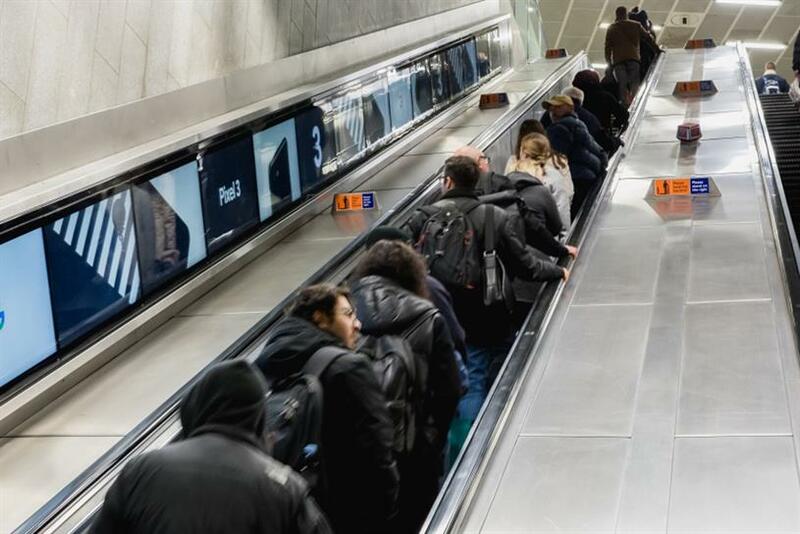 Google, Netflix, O2 and Disney are among the first brands to feature on Transport for London’s new 42-inch HD screens that enable ad campaigns to run alongside the full length of escalators at London Underground stations. 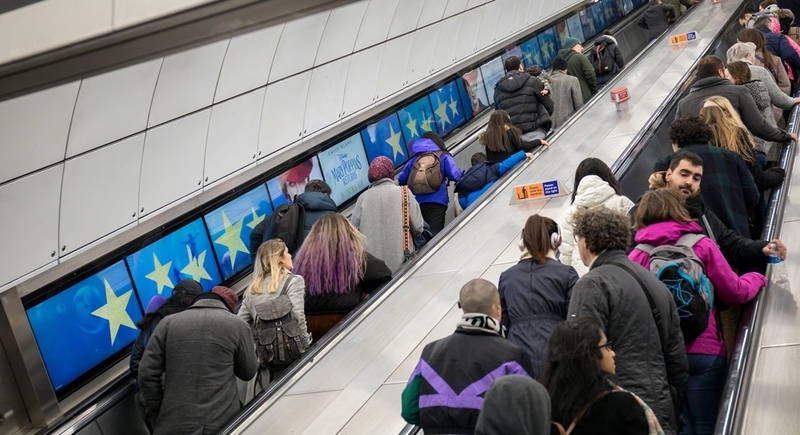 The Digital Ribbons, created by Exterion Media, span the length of escalator locations in King’s Cross St Pancras, Piccadilly Circus and Tottenham Court Road. The "full-motion" format allows ad campaigns to run across the full length of the screens and are four times more engaging than traditional formats, according to research by Exterion and Bournemouth University last year. Campaigns currently running on the screens include Disney’s Mary Poppins Returns, Netflix’s latest Black Mirror episode Bandersnatch, Google’s Pixel 3 mobile phone and New Year campaigns for easyJet and O2 that promote their seasonal sales offers. There will be eight Digital Ribbons by mid-2019, with further installations planned at London Waterloo and Liverpool Street stations. The number of screens at each station varies; there are 15 screens on each side of the escalator at Piccadilly Circus and Kings Cross St Pancras, while Tottenham Court Road station has 25 screens on each side. The roll-out of the Digital Ribbons follows last year’s introduction of new LCD full-motion D12 and D6 screens across the Tube network. TfL revealed in 2016 that it had experienced a "quantum leap" in its thinking after realising it had become an advertising company as well as London’s public transport provider. However, its £152.1m income from advertising makes up just 2.8% of TfL’s total revenue, according to its latest financial accounts. Chris Reader, head of commercial media at TfL, said of the Digital Ribbons: "Our new Digital Ribbon screens at three of our most iconic Tube stations are a fantastic addition to our advertising estate, making it more attractive to brands by allowing them to engage with the London audience and create more memorable moments for our customers. "We are continuing to invest in our advertising estate, which is already one of the most valuable in the world, and enables us to raise vital revenue to reinvest back into the transport network."